When Pitch, the boogeyman, decides that children should believe in him and not the Guardians, he adds a little fear to their dreams, turning them into nightmares. If children around the world are afraid, there will be no more room for hope. The Guardians must band together to stop him. But in order to do so they need a little help from an unlikely source: Jack Frost. Jack loves to have fun, but he's not usually one for heroics. Will Jack find the hero within him before Pitch can carry out his master plan? 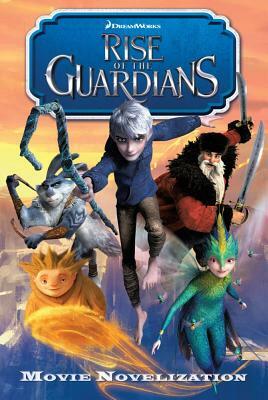 Join Jack Frost and the entire gang of Guardians--North, Bunnymund, Tooth, and Sandman--as they band together to vanquish the boogeyman and his nightmarish threats and to preserve the very spirit of childhood. This junior novelization includes eight pages of color images from the movie.